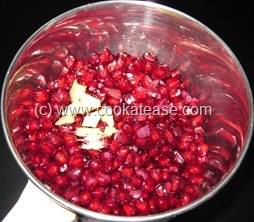 Pomegranate is considered as an ancient fruit. 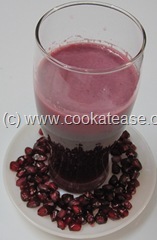 It is believed as a medicine for stomach problems and as tonic for heart. 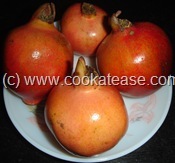 Some pomegranate have red arils and some have white arils. Seedless variety of this fruit is more suitable to make juice. 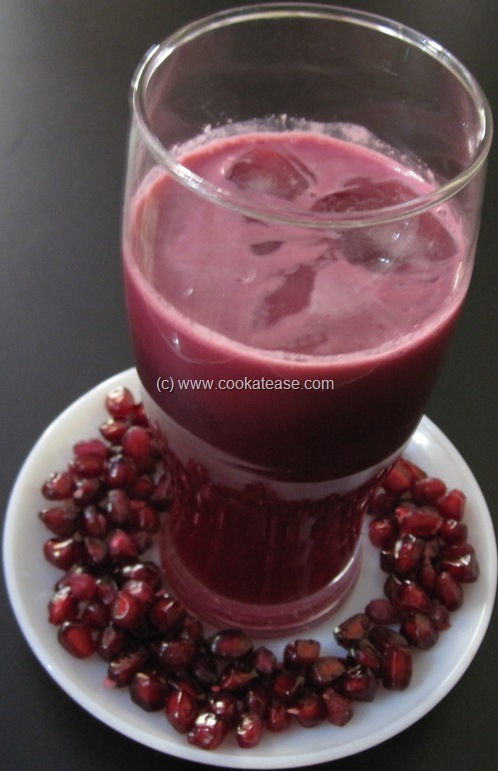 It is easy to make fresh pomegranate juice at home. 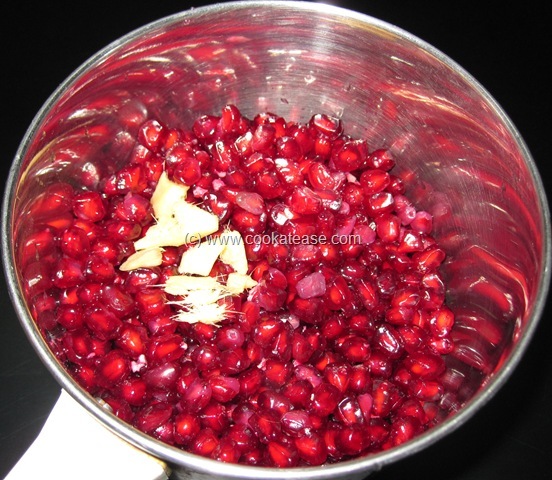 Adding little ginger and few drops of lemon, honey in fruit juice improves the taste and helps to absorb the fruit fully. Pomegranate is known as Madulai in Tamil and as Anar in Hindi. Blend pomegranate arils and grated ginger in a blender and filter; add lemon juice, honey, water and mix well. Serve immediately. 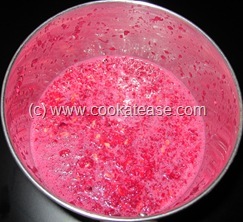 Add few pieces of ice cubes if you want to chill it. 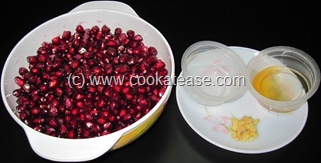 Quantity of honey may be varied depending on the sweetness of pomegranate. Hi, juice looks so delicious and refreshing! Thanks for your lovely comment on my blog..m really happy it helped me discover ur blog..You have such a amazing blog..sure gonna follow u! Happy blogging!